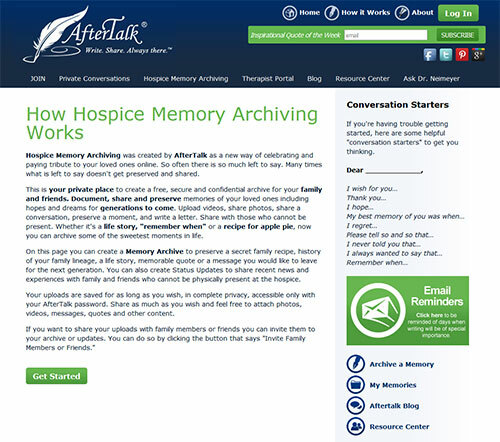 Hospice Memory Archiving was created by AfterTalk as a new way of celebrating and paying tribute to your loved ones online. So often there is so much left to say. Many times what is left to say doesn't get preserved and shared. Our Hospice Memory Archiving is your private space to document, share and preserve what you want your loved ones to know today and for the future. 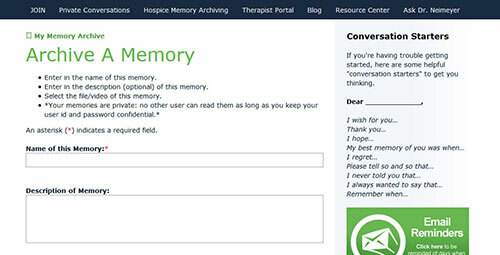 Follow these 7 easy steps to learn more about Hospice Memory Archiving and to get started. 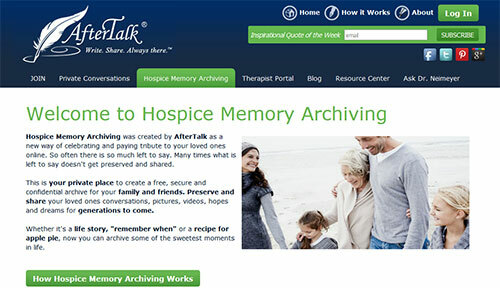 Go to Aftertalk.com and click on Hospice Memory Archiving on the homepage. Scroll down the page and watch the short video: "Lisa's Story"
It’s simple and easy to join our community and create an account. Now, follow the instructions to create you free account to start to preserve your memories! Congrats! 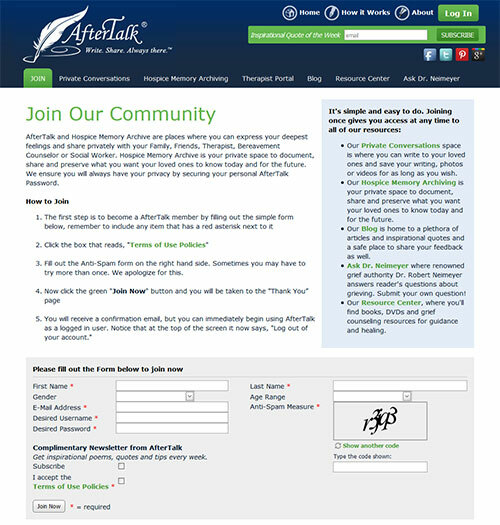 You’ve officially joined AfterTalk.com and Hospice Memory Archiving. You are one step away to starting your memory album! You will also receive a confirmation email, but you can immediately begin using AfterTalk as a logged in user. Notice that at the top of the screen it now says, "Log out of your account." Upload videos and photos and share private conversations! Invite family and friends to share newly-created memories! Please visit our Frequently Asked Questions (FAQ’s) page. For your great grandchildren: Is there any wisdom you'd to pass on? Is there anything that you've never told me but want to tell me now? Download our Get Started Guide for easy access to our step-by-step instructions!